She was a daughter of the singer Caroline Girard. She received her education by Régnier in Paris. On 10. 2. 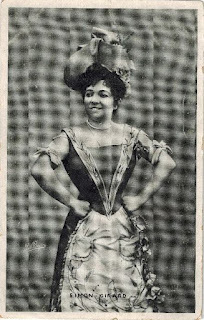 1877 she made her debut at the Folies-Dramatiques in Paris as Carlinette in the premiere of the operetta ‘’La Foire Saint-Laurent’’ of J. Offenbach. 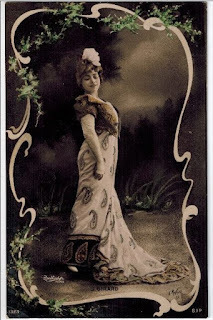 She was married to the tenor Max Simon (1852-1923), who appeared at the foil-Dramatiques as a big star. With his partner she created a large number of operettas in the 1870’s and 1880’s of the 19-th century: ‘’Les Cloches de Corneville’’ of Robert Planquette (19. 4. 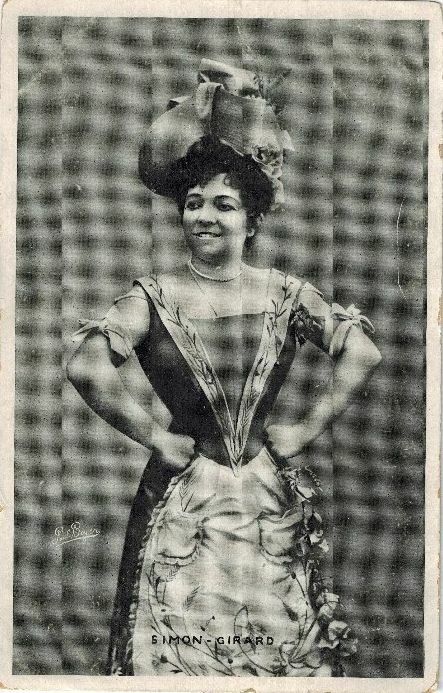 1877 as Serpolette, her famous star role), ‘’Madame Favart’’ of J. Offenbach (28. 12. 1878), "La fille du Tambour-major" of J. Offenbach (13. 12. 1879), ‘’La Fauvette du temple’’ of André Messager (17. 11. 1885) and "Fanfan la Tulipe" of Louis Varnay (21. 10. 1882). Juliette Simon-Girard also gave a guest performances beyond the French metropolis and appeared by the end of her career in Brussels. She celebrated her unforgettable triumphs in Paris, where in 1900 she appeared again at the Théâtre des Variétés in ‘’La Belle Hélène’’ of J. Offenbach. She continued her career till 1914. During her retirement she dealt with social activities for artists ("Orphelins des Artistes", "Retraîte des Vieux Comédiens"). She continued her career till 1914. In 1894 she separated from Max Simon; a son came from this marriage, Aimé Simon, became an actor, a daughter became a singing-teacher. She entered the second marriage with the actor Félix Huguenet. She died in Nice.